My Fabulous Class: Winter Fun! Wow, have we already been back for a week and half??? Time has been flying by. 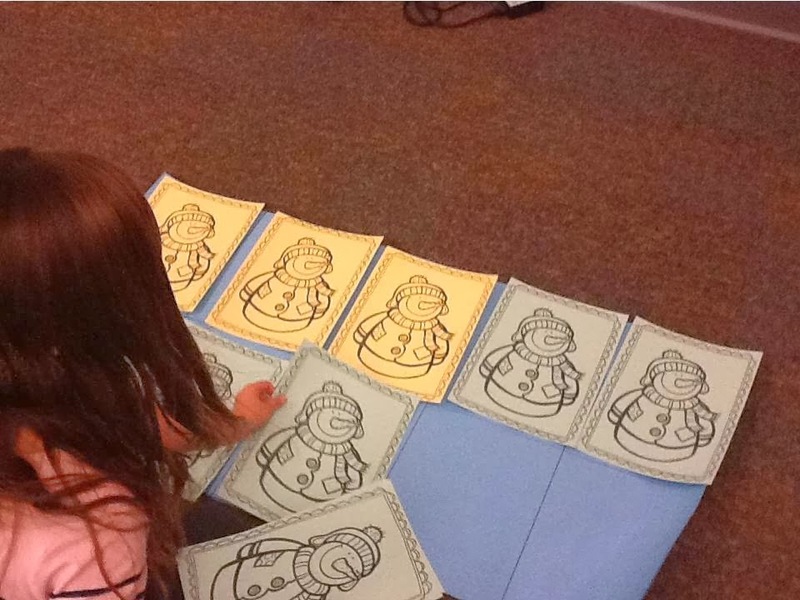 It is amazing how after winter break, these little pumpkins turn into big kids. 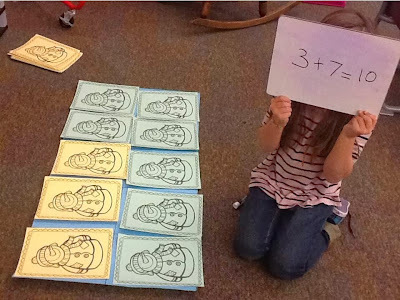 They are working more independently at centers. They are able to transition quicker. 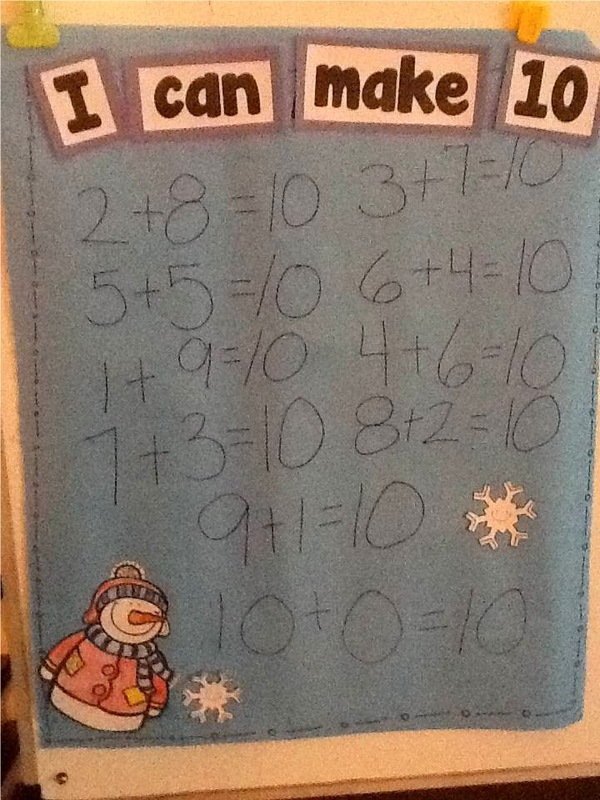 They are almost...1st graders. 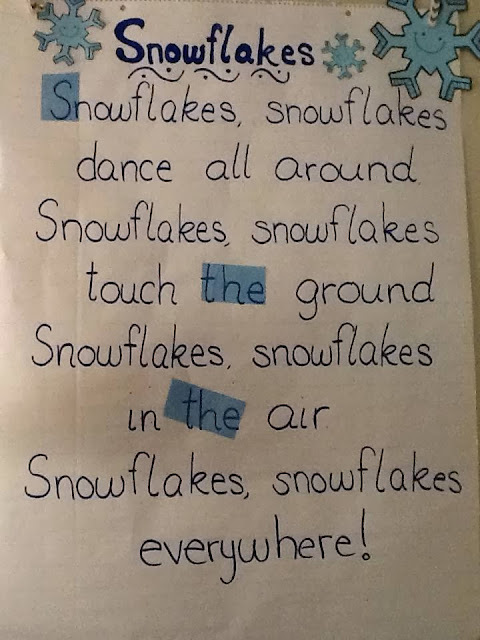 I found this adorable poem on Pinterest from RainbowsWithInReach. . We have done this poem every morning since break. The kids have really enjoyed doing all the movements while singing. One student at a time point to the words while the others sing and dance. 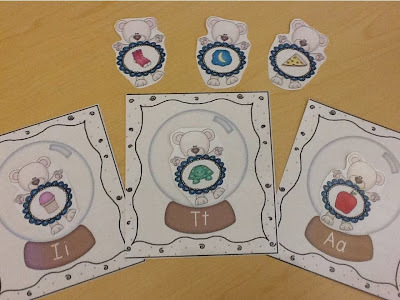 We found the sight word the and one sweet honey found the letter s.
At our literacy centers, I introduced these adorable snow globes. There are three different centers. 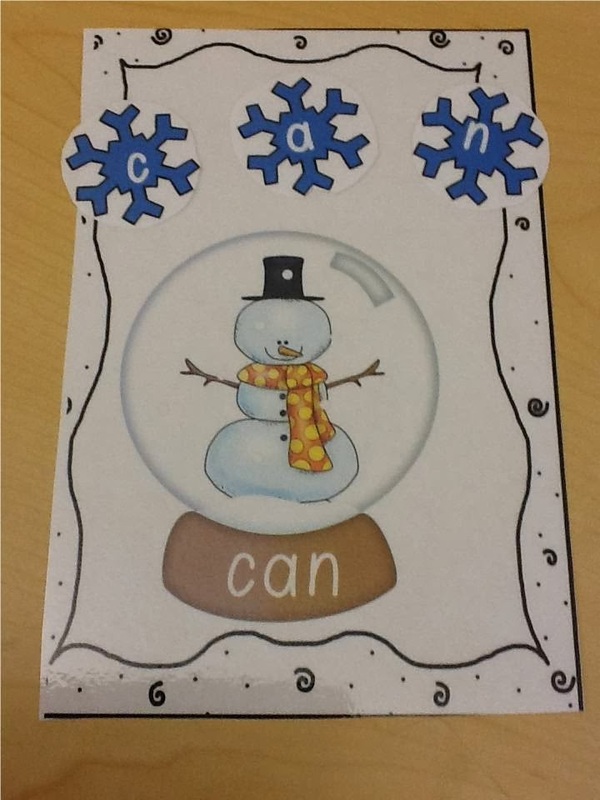 One center is building sight words with snowflakes. There are 40 different sight words to choose from. 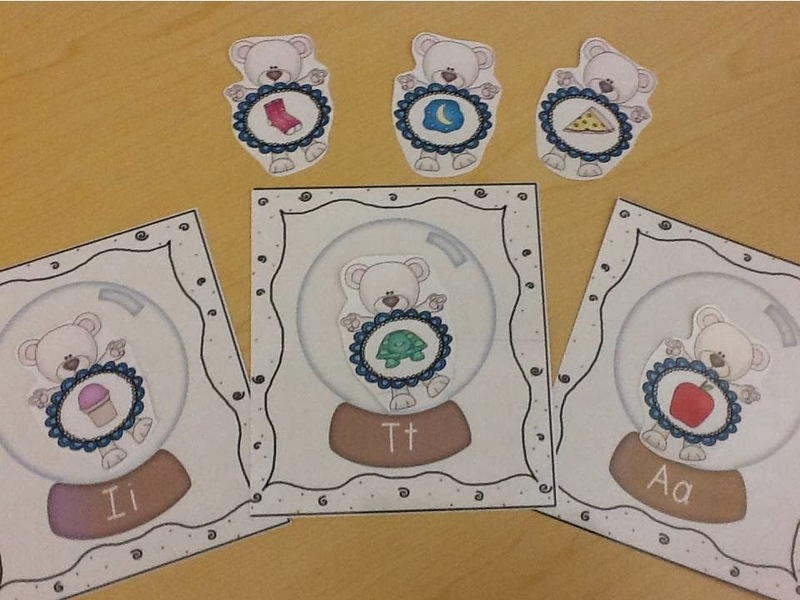 Students can also work on initial sound by placing the polar bear in the correct snow globe. The third activity is matching the CVC penguin to the correct CVC globe. You can purchase these centers at my store HERE. 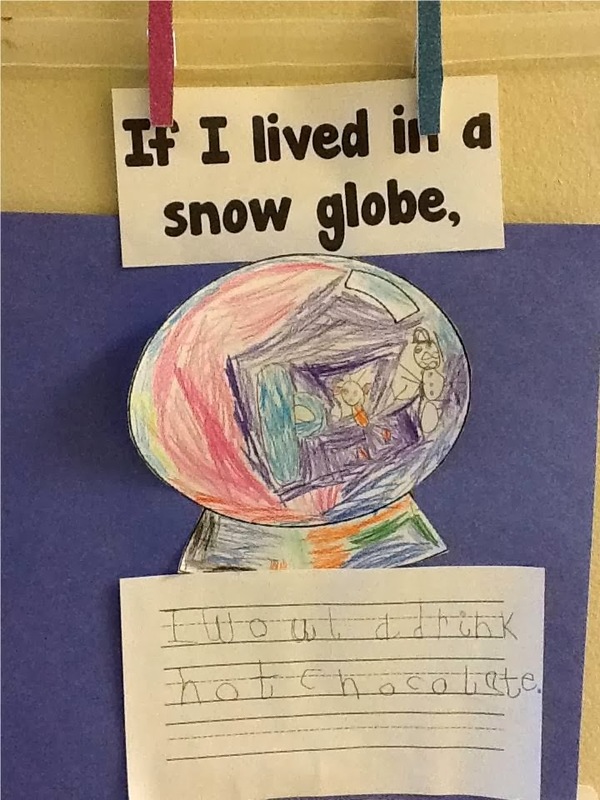 We also talked about what we would do if we lived in a snow globe. Most of my kids wanted to drink hot chocolate, build a snowman, or make a snow angel.This picture was my favorite because it was so colorful. Yes, I know that I should be showing a picture where a child used the correct color, but this sweetie worked so hard coloring this. We made sums of 10 come to life with this life size ten frame. The kids loved it. We rolled a dice for the numbers 1-6. The kids took turns putting down that number of snowman. Then another student figured out how many more they needed to make 10 and I recorded the number sentence. Once we got 1-6 done, I just set up 7-10. Finally, we did an interactive word problem. I wrote the problem, and yes, I drew the funky snowmen. Next time, I think I will draw the snowmen first! The baby snowman just looks chunky. The kids drew the buttons - you have to look really close to see the three blue buttons. The kids helped fill out the ten frame and wrote the number bond. 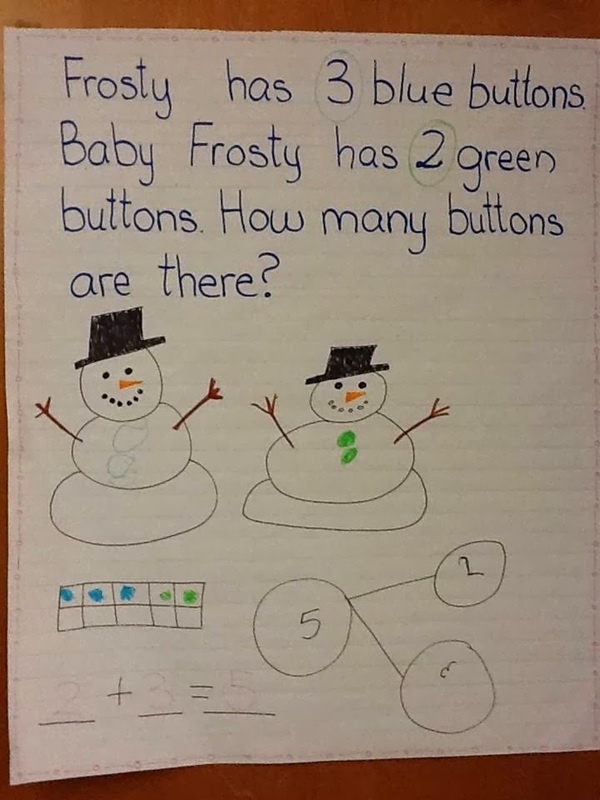 I think I will have to work on more winter themed word problems because the kids had a blast! 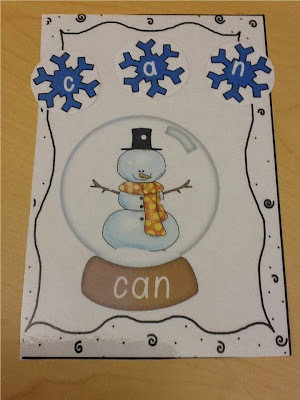 Tomorrow, we will be making snowmen with shaving cream and Elmer's glue. It will be my first time so wish me luck!